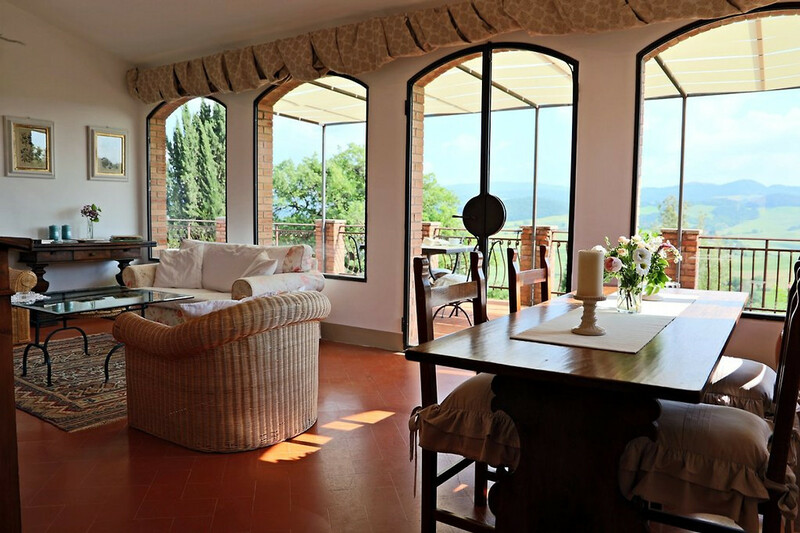 A room with a double sofa bed and access to a large panoramic terrace (50 m2), 1 double bedroom, 1 double bedroom with extra single bed, 1 bathroom with shower, 1 bathroom with bathtub, kitchen / dining room. 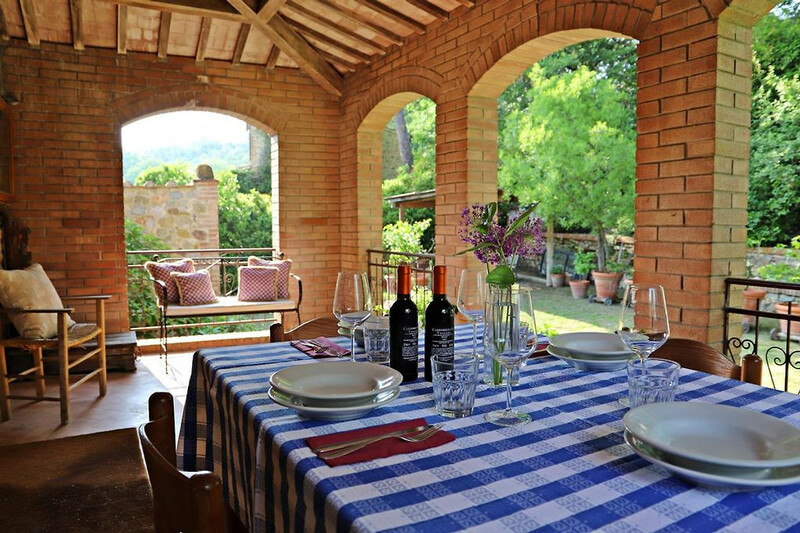 The owners (very polite and discrete people) leave the lower ground floor with their own access and outdoor area, and they are in no way limiting the guests' total privacy. 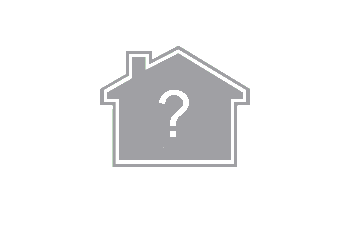 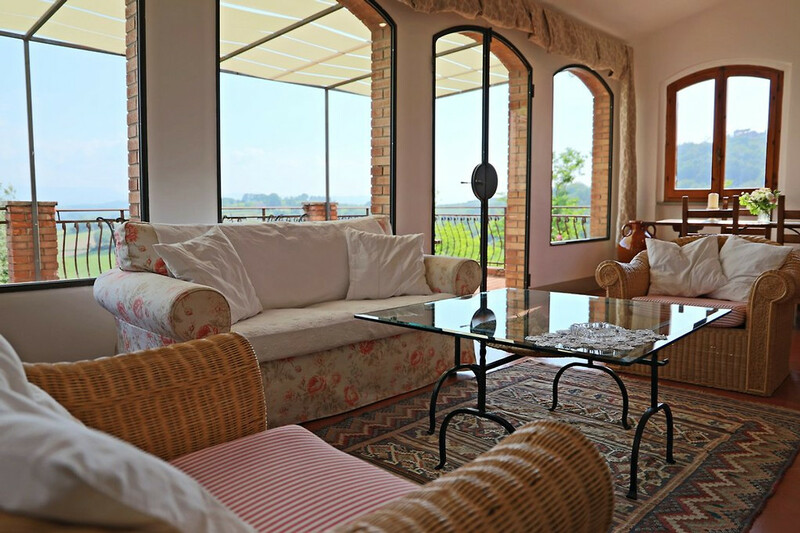 Elevated ground floor - 1 double bedroom, 1 double bedroom, 1 double bedroom, 1 double bedroom, 1 double bedroom, 1 double bedroom, 1 bathroom with shower tub. 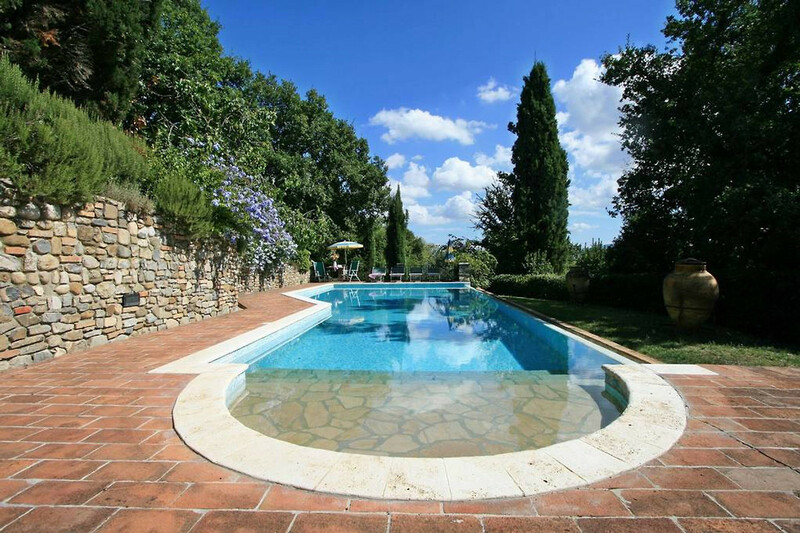 Swimming pool available from May to October. 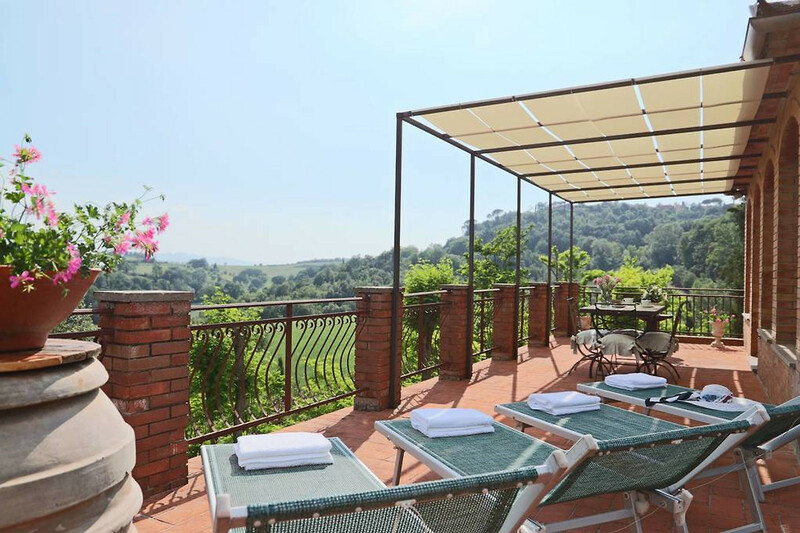 The close village offering all kinds of amenities (restaurants, bars, ice cream shops, supermarkets, grocery shops, tennis courts, etc) is just over km away and reachable on foot. 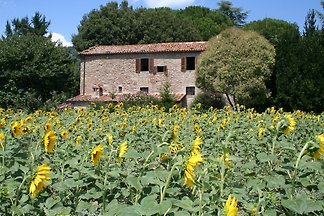 Toll-free motorway (13 km). 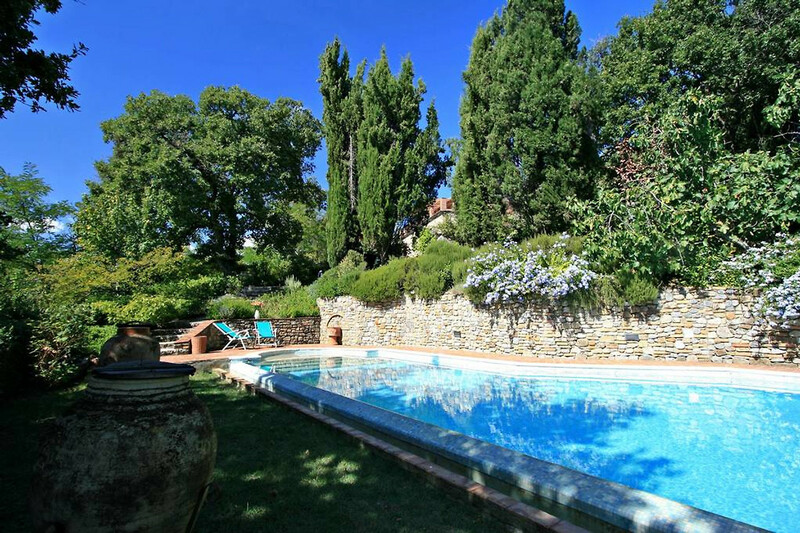 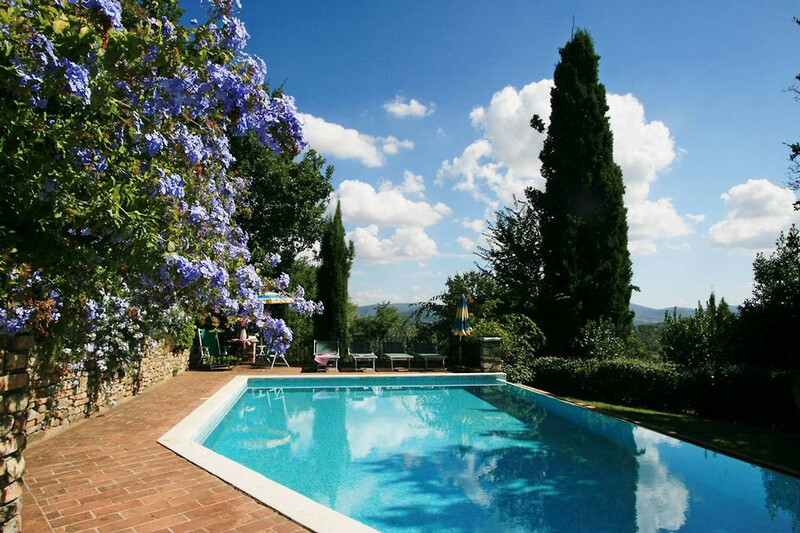 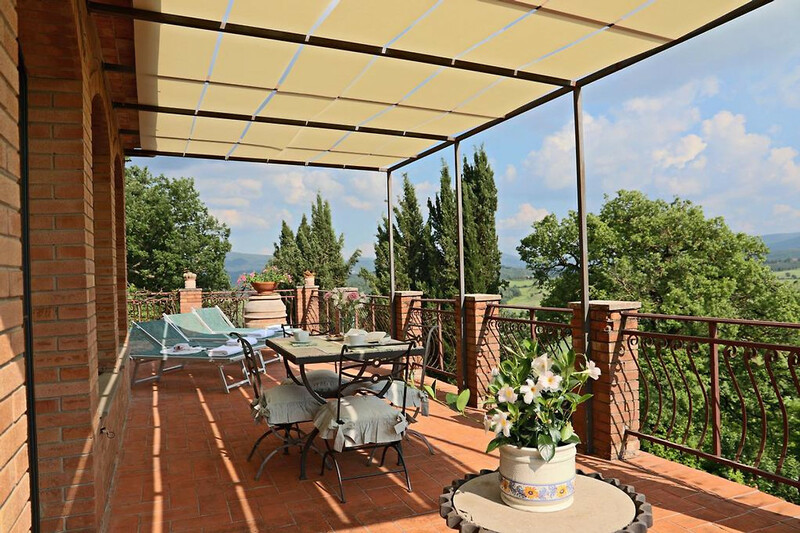 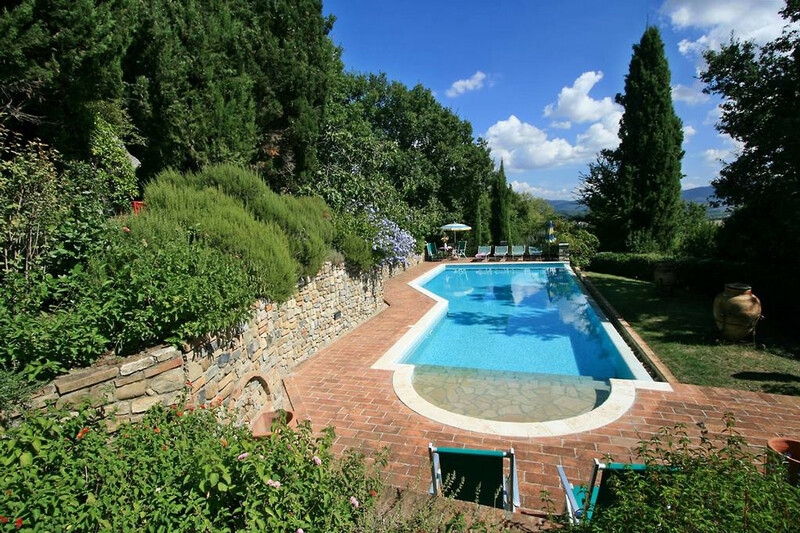 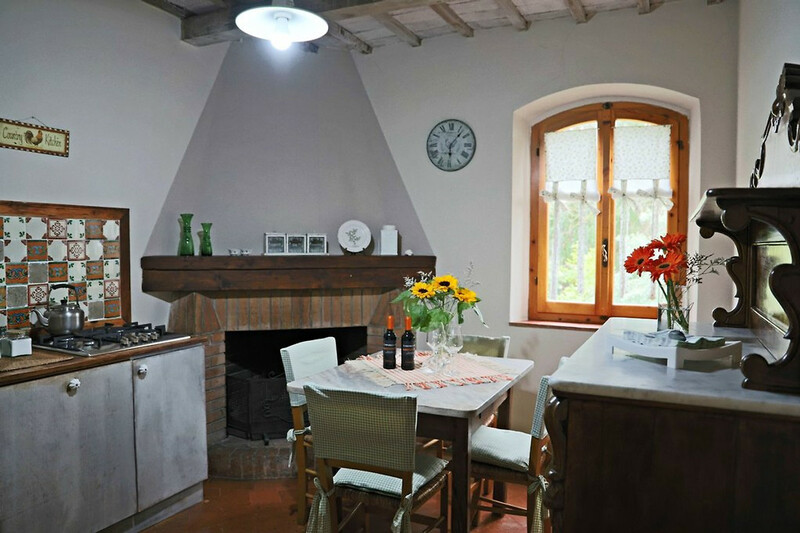 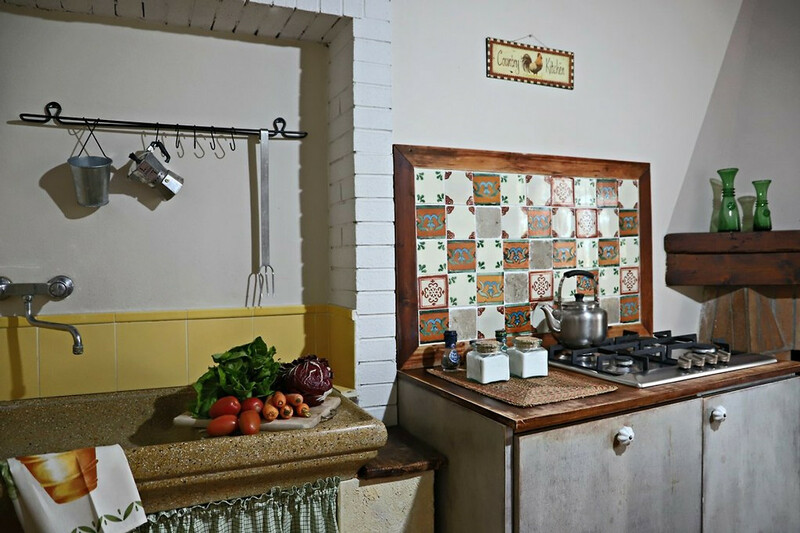 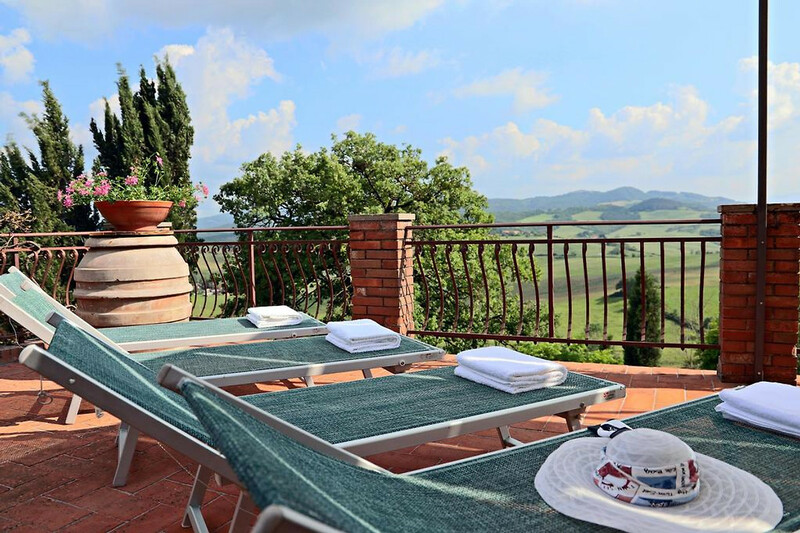 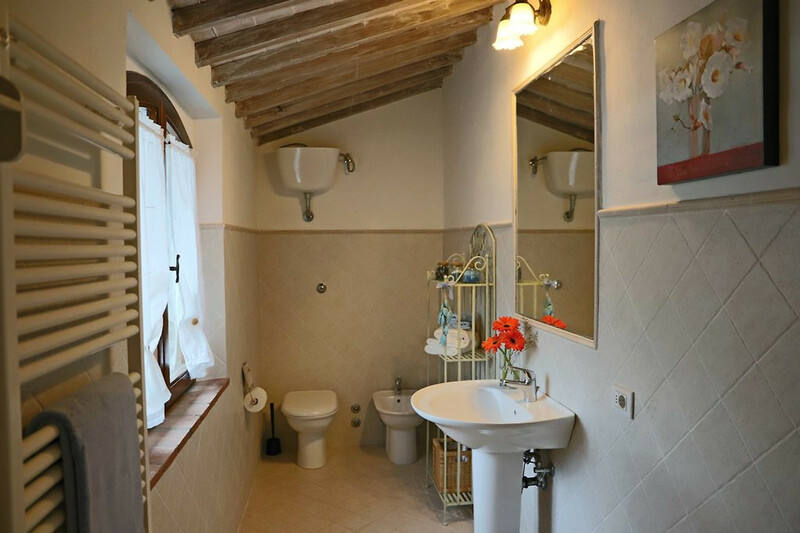 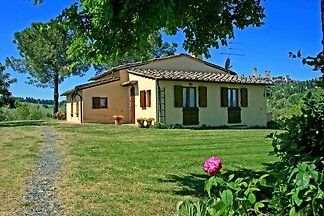 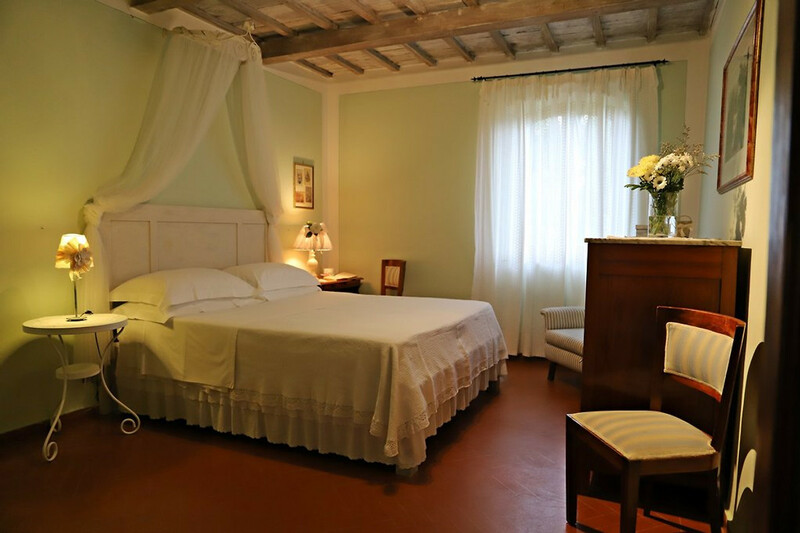 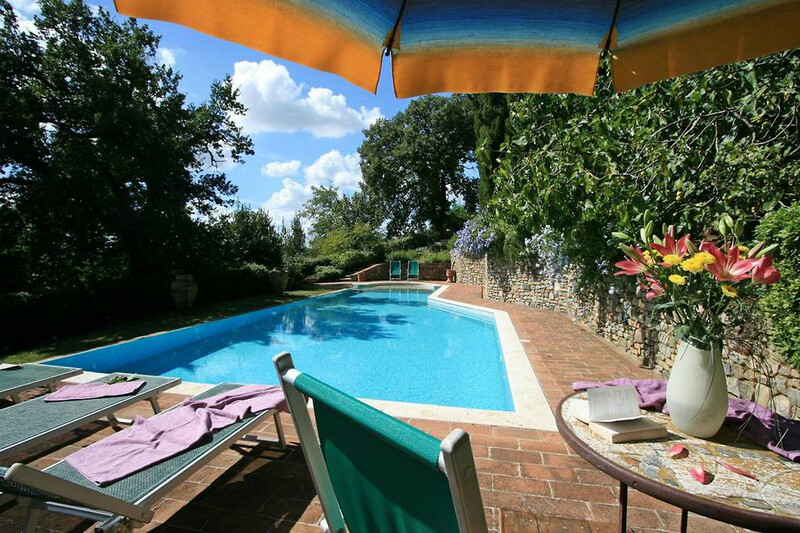 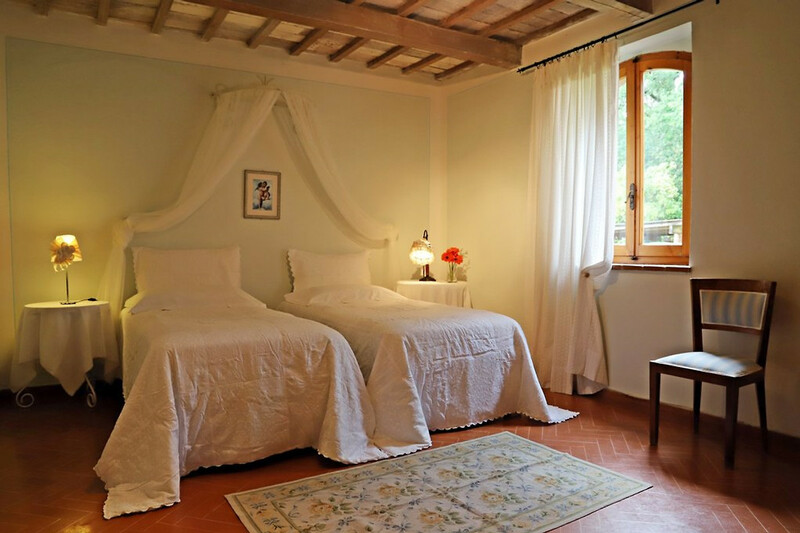 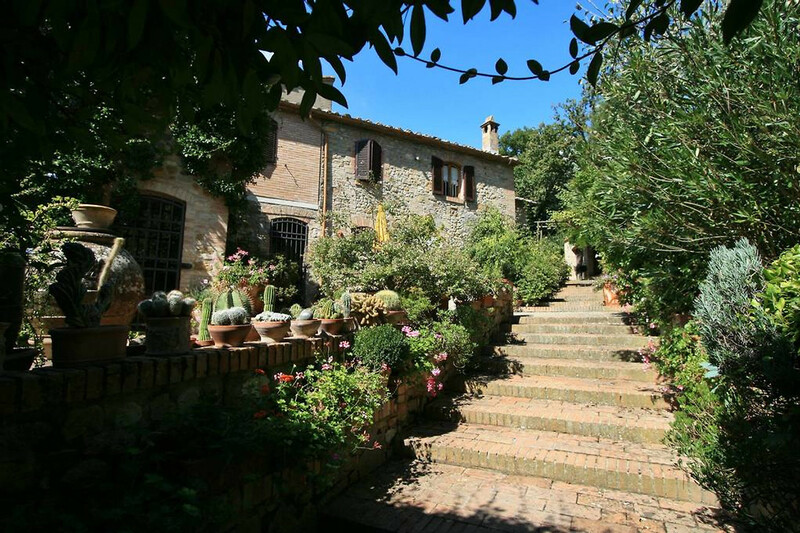 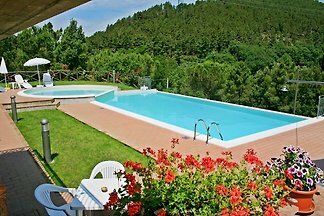 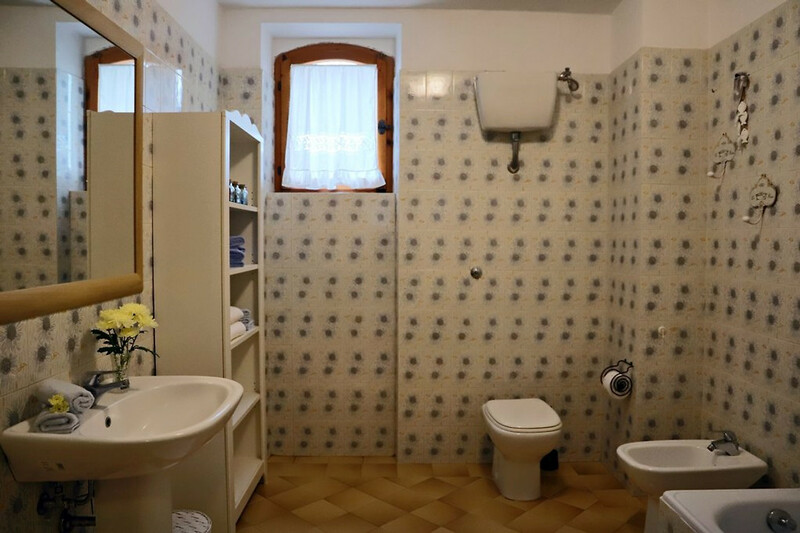 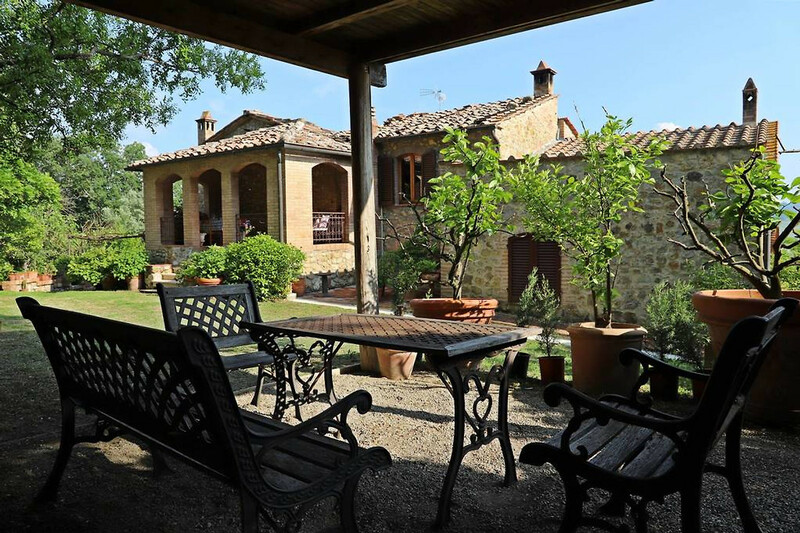 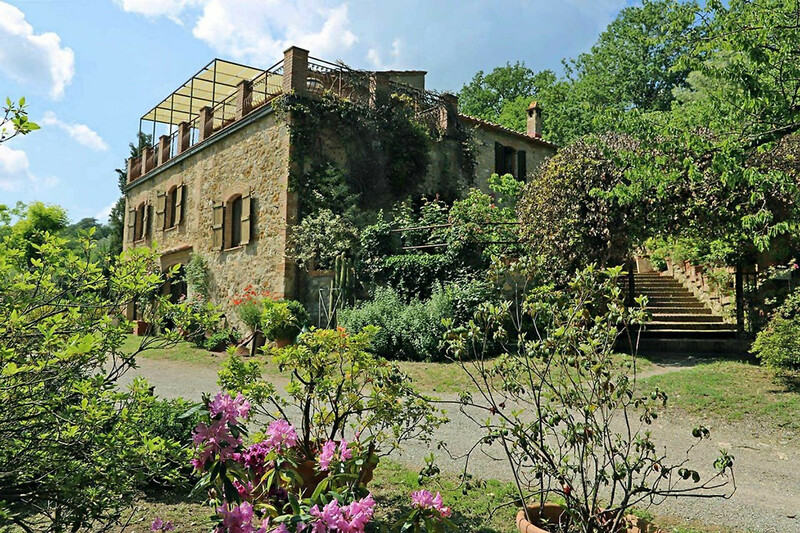 Ideally situated for Tuscany and many other small towns in the Chianti region.